The World Economic Forum — the gathering of power glitterati each year in Davos — has assessed the top risks the world faces in 2011. According to this analysis, climate change is the highest-ranking risk the world will face in the coming years, when its likelihood and impact are combined. What’s even more important is the inter-connections between climate change and the other top risks: economic disparity (ranked 3), extreme weather events (ranked 5), extreme energy price volatility (ranked 6), geopolitical conflict (ranked 7), flooding and water security (9 and 10). The world — even according to the richest men — is in deep and desperate trouble. This is not a past or future scenario. This is the present. The Food and Agriculture Organisation (FAO) says world food prices this January hit a “historic peak”. The food price index, collated by FAO, averaged 231 points in January, which is the highest since 1990, when it started measuring food prices globally. The reasons for the spike are not just the traditional, ranging from greedy speculators to faulty future markets and rising demand. They are newer: extreme weather events, floods and droughts, heat and frost waves. And they suggest a threat even more difficult to contain. Just consider the year gone by. In August and September, two separate grain-growing regions of the world were being impacted by extreme weather—bitter cold and frost in Canada and searing heat, fires and drought in Russia. Add to this the floods in Australia and now winter drought in China’s main wheat-growing northern regions. 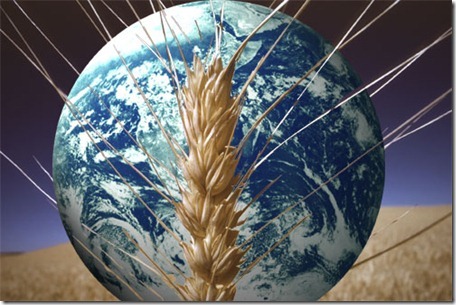 All this has meant global wheat production is down and prices are high. Bad weather has taken its toll on crops across the world. In India over the past two months, paddy ready to be harvested was damaged because of unseasonal rain in Andhra Pradesh and Odisha; chilli crops were hit in Tamil Nadu; frost and extreme cold destroyed crops in Madhya Pradesh, Rajasthan and Punjab. Farmers have committed suicide over crop failures. There are many more cases of damage to crops because of changing weather. Last year several parts of India witnessed floods. This year vast parts of Africa are facing floods. Droughts and floods add to the cycle of destitution because they destroy the gains of development. We know no single weather event is because of climate change. But their growing intensity and frequency certainly is. We must begin to understand the connection between bad weather, increased food prices that add to poverty, and the spilling global unrest. It was the spike in food prices that led to the first spark of protest in Tunisia and has now spread across Egypt and other parts of the Arab world. Clearly, increasing food demand driven by growing population, combined with crop losses because of weather-related events and exacerbated by poor governance, will be the tinderbox of the future. These will add to the destitution of the poorest, and make global disparity starker. Then why do rich men still have their head (and heart) buried in the sand as far as solutions to climate change are concerned? Why is there no progress to reduce emissions? In fact, why in the world is the movement backward when it comes to this top-ranking risk? The world has touched rock bottom as far as progress on an effective agreement on climate change is concerned. In Cancun we know there was a deliberate and successful move to dismantle the agreement to set targets to cut emissions that threaten the world’s present and future. The cost of the agreement, stitched to please the US and its coalition of the willing, is that world leaders are now under no pressure—legal, moral or financial—to take the hard steps needed to reduce emissions. In Cancun every party but one (Bolivia) agreed to do nothing. It is not in the interest of anyone. Worse, since Cancun the world has moved further back on its commitment to limit emissions. Worse, since Cancun the world has moved further back on its commitment to limit emissions. Japan has crossed the line saying it will not and cannot do more; US is currently contemplating how it can get rid of the puny little action it was taking to monitor carbon dioxide as a pollutant; Europe and the rest want to find new trade tricks to do little at home. The world is precariously placed: on the one hand, the crisis is growing and becoming evident; on the other hand, the response is weakening and losing urgency. The answer to my question is not far to find. The Davos glitterati’s assessment of global risks contains a fatal error. There is no mention, let alone appreciation, of the role of the same powerful economic game, set and system as the cause of the world’s present danger. The men who run the world (it is now accepted that the club has limited membership) do not even begin to join the dots that point towards their complicity in not addressing the problem. This is the most obvious and fatal disconnect of our times. We will all pay for this. Big time. This entry was posted in Uncategorized and tagged Cancun, climate change, Davos, Down to Earth Magazine, extreme weather, Food and Agriculture Organisation, food demand, food insecurity, food price rises, India, population growth, Sunita Narain, water security, World Economic Forum. Bookmark the permalink.